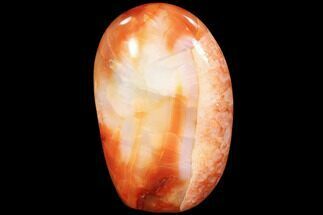 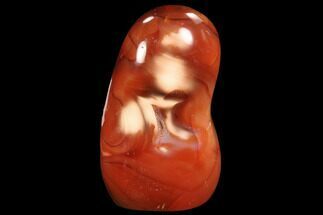 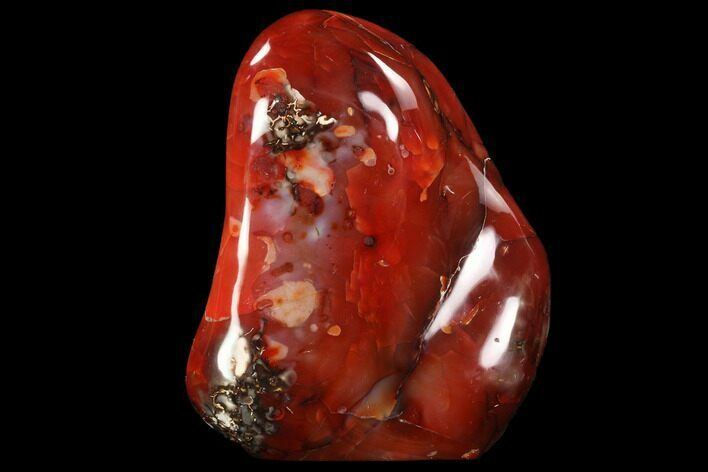 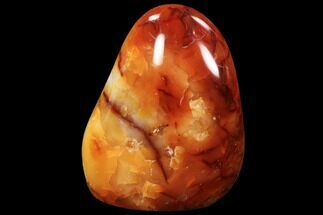 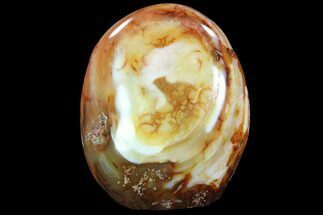 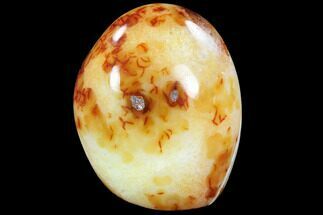 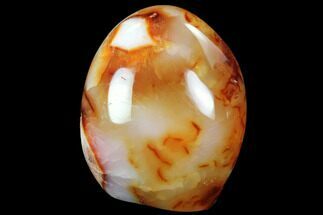 This is a vibrantly colored, hand polished piece of carnelian agate, collected from Madagascar. 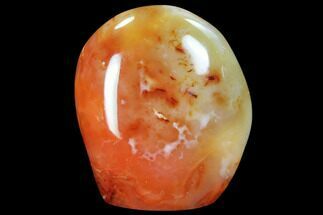 This beautiful piece is 6.7" tall by 5.6" wide with fiery hues of red, yellows and oranges. 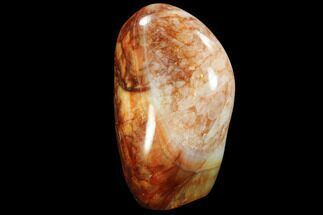 The base has been cut flat so it can be displayed without the use of a stand.